Represented a private equity fund in a several stage mezzanine financing transaction used to provide acquisition funding to a Southeast regional employment services company. This deal included an equity piece for the lender as well. Represented a specialty lender in financing the acquisition and construction of a memory care facility in the Midwest. Represented a regional bank in a construction loan for a new hotel property in Chattanooga. This loan raised various franchise and leasing issues as well as a complicated loan advance structure and retainage escrow arrangements. Represented a national financial institution in various low-income housing tax credit construction loans in Alabama, Georgia, South Carolina and the Mississippi delta. In addition to typical construction loan provisions, these loans required negotiation of subordination provisions with local housing finance authorities and compliance with federal low-income housing financing regulations. Represented a community bank in improving its collateral position on a troubled loan by modifying loan terms and creating and perfecting new security interests in the Borrower's many equity interests in real property ventures in the metro Nashville area. This extensive modification requires digging deeply into complex and numerous corporate structuring and consent issues. Represented a regional bank in refinancing a real estate loan collateralized by dozens of retail properties located in six New England states. Intercreditor issues, leasing problems and effectively managing of a large volume of real property diligence all are at issue in this transaction. Represented both local banks and specialty lenders in senior asset based loan facilities to durable medical equipment companies. These deals involved various complex collateralization issues, including supplier subordination agreements, chattel paper bailee arrangements and double lockbox structuring. Represented specialty lenders in several asset based and term loan facilities to the owners and operators of skilled nursing and assisted living facilities. In addition to double lockbox issues, the transactions also often involve intercreditor arrangements and at upper payment limitation program concerns. Represented a specialty lending branch of a large national financial institution in making asset based and term loan facilities to a provider of housing for individuals with special needs. Among other issues, the loans were collateralized by over 150 properties in several southeastern states. Represented a public behavioral health provider in managing its financing needs during its acquisition of an international competitor with a total acquisition cost of over $1B. Lindsey is a Partner in the firm's Lending Practice Group representing financial institutions, private equity groups, specialty lenders and borrowers in a variety of industries, including health care, manufacturing, retail, construction, technology, hospitality, education and logistics. She counsels clients on matters related to construction, real estate, tax credit and acquisition financing, asset-based lending and equipment finance, cash flow lending, syndicated loan transactions and mezzanine finance. 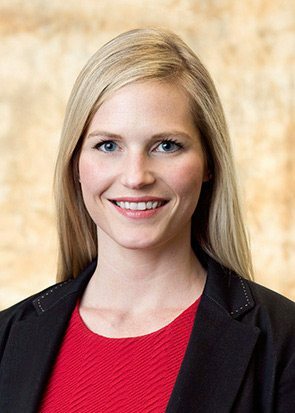 In addition to handling complex corporate finance transactions, she has experience dealing with workouts, including forbearance agreements and loan modifications.